It’s the Progressive House/Tech House DJ/producer unit of Amaoh(Takayuki Hirata) and yjm(Yuki Matsuoka)in Tokyo,Japan. Amaoh began to make Drum&bass and Electronica in 2000. He have made the other genre’s tracks and done the remix work up to now. yjm is guitarist and producer. He have played the guitar in many genre’s(Funk/reggae/Dub/jam/Mixture)bands. Now, he plays the guitar in O’SCAR SOUND(reggae). 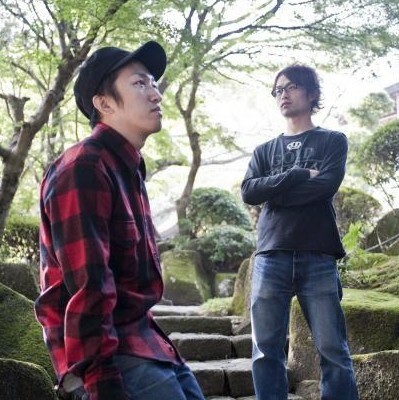 They started the career as Drum&bass, Dubstep and Electronica producer team “S.F.C” at Tokyo in 2005.
bass by Ableton Live & Reaktor and Yuki Matsuoka’s effective hybrid guitar sound. Their style is very exciting and evaluated from every direction. dynamic beats and beautiful guitar sound. In 2009,they are influenced by CONVERGE+(DJ ENDO/TAKASHI SASAKI) studying under and starts production of Progressive House/Tech House as “Amaoh & yjm”. Amaoh has already released the 1st album “ZEN” from Plusquam Division(Germany) in September, 2009.